Monica Worline, PhD, is an organizational psychologist and CEO of EnlivenWork. She is a research scientist at Stanford University’s Center for Compassion and Altruism and Education and Executive Director of CompassionLab. 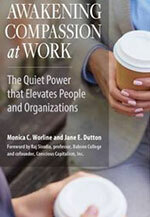 With Michigan’s Jane Dutton, Monica has authored the new book, Awakening Compassion at Work: The Quiet Power That Elevates People and Organizations. In the interview, Monica will field all your questions. She will also define compassion and talk about how it differs from empathy. She’ll likely touch on how research documents that compassion affects the bottom line at work…how workplace culture often doesn’t allow people to flourish, grow, and do their best work…a blueprint for awakening our own compassion…how we can enhance compassion throughout an organization…the fears leaders have when considering building compassion in employees…stories about compassionate workplaces, and more. Monica C. Worline, Ph.D., is founder and CEO of EnlivenWork, an innovation organization that teaches businesses and others how to tap into courageous thinking, compassionate leadership, and the curiosity to bring their best work to life. EnlivenWork is a social benefit partner of the Center for Positive Organizations, with a mission of helping change agents create workplaces that bring us to life each day. Monica’s research informs the foundation for EnlivenWork’s mission. As a member of Positive Organizational Scholarship community for more than a decade, Monica has investigated how knowledge workers cultivate courage, how organizations unlock potential through resourcing, and how compassion architects create more compassionate workplaces. Monica holds a lectureship at the Ross School of Business, University of Michigan, and is a faculty affiliate at the Center for Positive Organizations as well as being a research scientist at Stanford University’s Center for Compassion and Altruism Research and Education. Monica is currently the Executive Director of CompassionLab, the world’s leading research collaboratory focused on compassion at work. With Jane Dutton, Monica authored the new book for compassion architects everywhere: Awakening Compassion at Work: The Quiet Power that Elevates Individuals and Organizations. Jane Dutton, PhD, Monica’s co-author, is Robert L. Kahn Distinguished University Professor of Business Administration and Psychology and Co-founder, Center for Positive Organizations at the University of Michigan. Jane’s research on Positive Organizational Scholarship (POS) began with an interest in compassion and the difference it makes for individuals and organizations. Her research has expanded to focus on the power of positive relationships at work, job crafting, and positive identities. She and Monica Worline have published a new book entitled Awakening Compassion at Work: The Quiet Power that Elevates Individuals and Organizations. 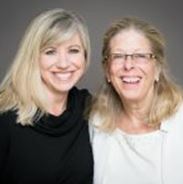 In addition, Jane and Gretchen Spreitzer edited How to Be A Positive Leader that brought together top researchers focused on how to make POS practical for all leaders. She has written Energize Your Workplace, a book for managers that is based on building positive relationships as a competitive strategy, and has co-edited three other books that address Positive Organizations. Jane’s background in strategic management keeps her focused on how positive dynamics create sustainable capabilities in organizations. awakeningcompassionatwork.com—The website dedicated to the book. It will grow to expand beyond the book over time. compassionlab.org The Compassion Lab website offers downloadable, original research from compassion and organizational scholars. Turning Empathy Inward. Stanford Social Innovation Review. Review of Monica and Jane’s book. How Compassion Helps Renew Your Leadership Purpose. Review of Monica and Jane’s book. The Quiet Power that Elevates People and Organizations. Article about Monica and Jane’s book. VIDEO. Invited Lecture. Monica Worline. A great video of Monica speaking on compassion research at Stanford. Journal Articles. Links to peer-reviewed journal articles on compassion by Monica and her colleagues. Lilius, J. M., Worline, M. C., Dutton, J. E., Kanov, J., Maitlis, S., & Frost, P. J. (2011). Understanding Compassion Capability. Human Relations, 64, 873-899. Dutton, J., Worline, M. C., Frost, P. J., & Lilius, J. (2006). Explaining Compassion Organizing. Administrative Science Quarterly, 51, 1, 59-96.